We’re very excited to reveal Sidiki Dembele Sextet will complete our main stage line-up at #AfricaDay2016! Born in Abidjan, the commercial capital of Cote d’Ivoire, Sidiki is the second son of a Griot family. The Griot tradition is one which has spanned centuries of civilisation in West Africa, and has been passed down through the generations, carrying with it an ancient culture of story-telling, communication and celebration. Sidiki commenced playing percussion professionally at the age of fourteen, forming his own group Denifari at the age of sixteen. As well as a master Djembefola, Sidiki is a talented performer of the balafon, n’goni and Kamele n’goni which were passed down to him through his family. In 2007 he was selected as lead percussion soloist from amongst Cote d’Ivoire’s best djembefolas for the concept circus show Afrika!Afrika!, where he caught the eye of the celebrated choreographer Georges Momboye. He is currently the musical director for the UK based group Ballet Nimba. For this special concert Sidiki will be joined by a cohort of the best of Ireland’s African and Jazz instrumentalists, including one of Ireland’s foremost students of traditional African music and founder of Manden Express & Afro-Eire, Paul McElhatton; Peruvian drummer and percussionist Cote Calmet; Jazz guitarist and member of Ensemble Ériu, Paddy Groenland; and Bassist Tommy Moore. 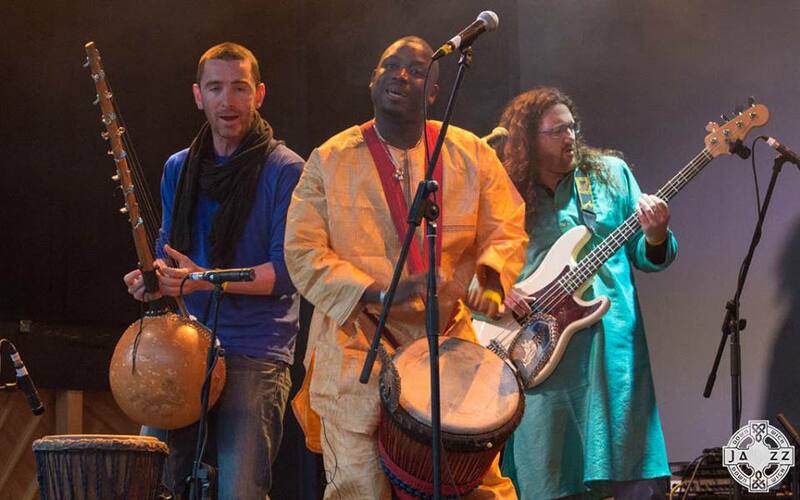 Sidiki Dembele Sextet are definitely not to be missed at this year’s Africa Day flagship event in Dublin! Check out our Facebook event page for more info here.